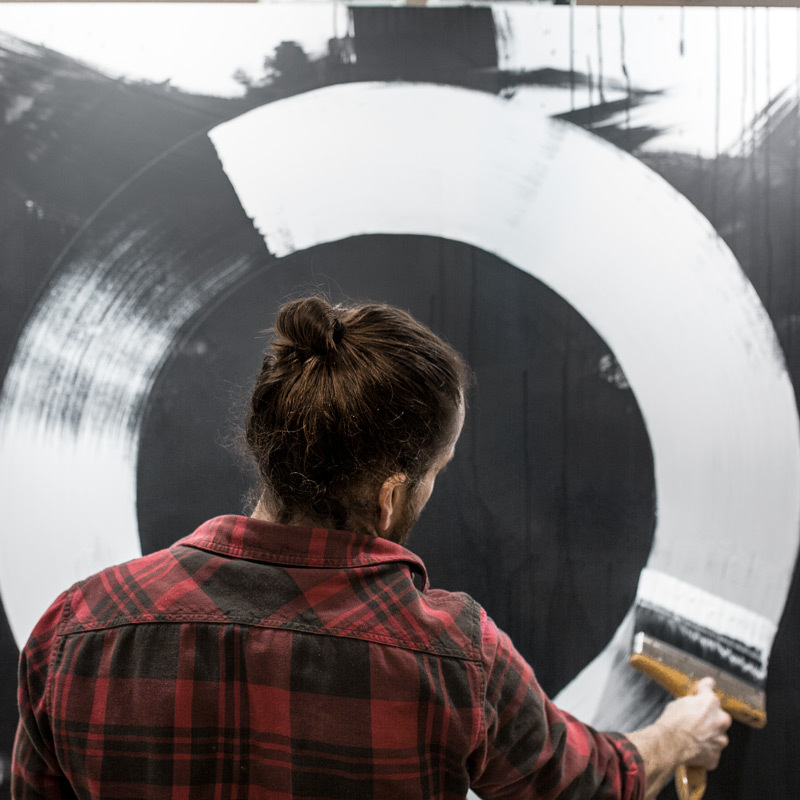 Energetic, bold and inspiring; Spendlove’s paintings depict the duality of human experience. Freedom and control live in a symbiotic relationship of rich textures and contrasting sheens as light dances across the canvas in these modern interactive works of art. To see his work is to see art that is ahead of its time, futuristic yet timeless. 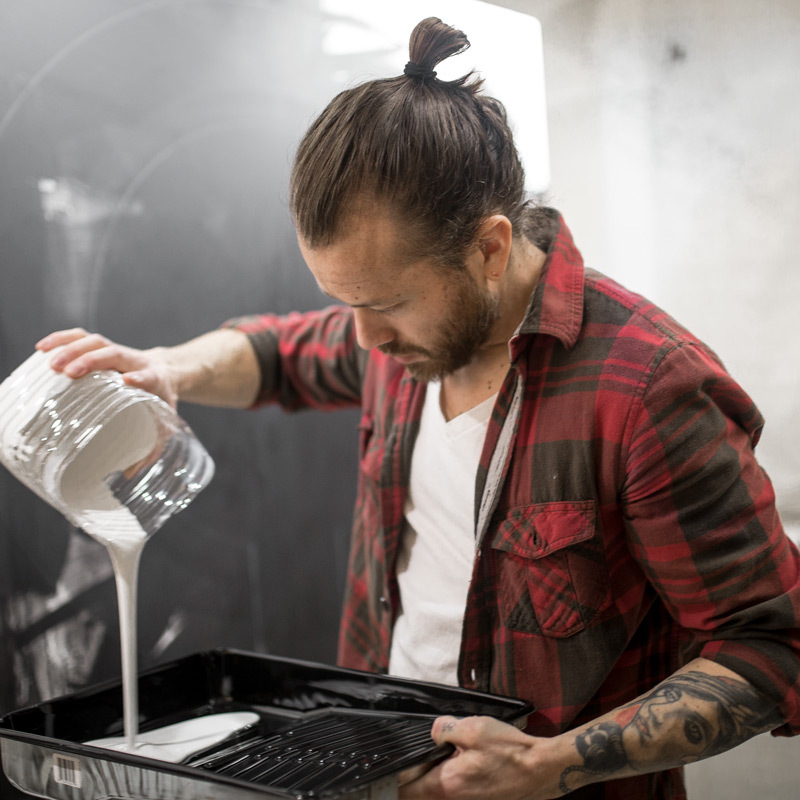 Born in Las Vegas, Nevada 1982 Joshua Spendlove a painter, sculptor, photographer, and poet, has been passionate about the arts from a young age. Spendlove set out to learn all he could about art and the Masters who laid the foundations. Inspired by Dali and his unorthodox way of seeing the world, and the brilliantly bold and emotional works of Van Gogh, Spendlove is driven to create work full of passion and feeling that evokes the imagination. Prolific and successful in 2d as well as 3d Spendlove’s large scale bronze monuments and paintings are collected and commissioned by nationally and internationally accredited collectors and companies across the world. Spendlove’s work has evolved to create with the deeper senses of emotion and feeling rather than solely the 2-dimensional worlds of sight and touch. His new body of work, “Now You Know Me” reveals truths about how we see ourselves and the world we live in. What if art can alter and affect the way we see the world impacting each of us for the better? Maybe centering self in meditation while diving deep into a painting can unlock places in the mind allowing change from within each heart? Long after we leave this place our creations live on. These works are pieces of my soul created with passion and intent to enrich and enlighten our existence. My work expounds upon the dualities of human experience describing in contrast the energies of dark and light and that exists within everyone and everything in the universe. True contemplation and study of my work will reveal profound truths hidden in the human psyche. These truths can teach us from within the ways to higher vibrational living that every being on this planet deserves to experience. I believe that my work can take the form of a mirror so that each person can see in themselves what may not be seen externally. These works are carefully created and brought forth with intention through the emotional center for the 3rd dimension. Human emotion and energy are at the very core of everything we create; especially in art. Use of bold color relationships, contrasting textures and sheen play a symbolic part in my contemporary, contemplative works of art. Painting with emotion and energy lays the foundation of each painting before bold dramatic lines set the stage for the “Zone” or center in of some of my most iconic pieces. With my work I want people to really go deep. I want to bring up emotions that are hidden under layers of time and assist in the healing and happiness of everyone who experiences it.